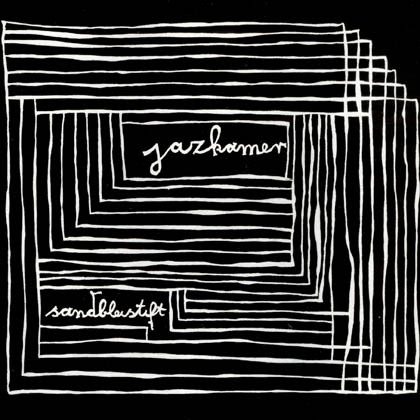 The fourth volume in the LICHT-UNG 10" series presents JAZKAMER, the project (written in different ways) by LASSE MARHAUG & JOHN HEGRE, who have a nice repetitive power-noise track on Side A of this split which develops in many direction and carrys you away like an acoustic storm. The second side is by MILAN SANDBLEISTIFT aka LICHT-UNG, a furios whining & feedbackin' noise-track full of roaring & droning details, we love it! Very recommended 10" for "advanced" noise-listeners! 4th part of Licht-Ung's 10" split series, this time Milan Sandbleistift (aka Licht-ung) meets with Norwegian duo Jazkamer. Sandbleistift pummel the listener from the outset with junk noise aka Wolf Eyes, whil the B-Side sees Jazkamer build a layered, spasmodic noisefest, with just enough piercing electronics to make an uncomfortable listen. Merzbow like?